Based in Schaumburg IL and serving clients nationwide since 1996. Recognized as a top SEO company in Chicago, Proceed Innovative combines proven optimization techniques with breakthrough marketing solutions to surpass even the highest expectations. Our search engine optimization specialists have the extensive experience and the insightful approach required to come up with the most effective and ethical SEO solutions for each client’s needs. During the last several decades Search Engine Optimization has proven to be an extremely successful online marketing strategy. Premier SEO companies have achieved sustainable high rankings for their clients’ websites that result in a significant increase in leads, conversions, and sales. Chicago, IL based Proceed Innovative has been a leader in providing Search Engine Optimization services since 1996. Our ingenious, cost-effective SEO techniques have allowed us to become the marketing partner of choice for many local small businesses as well as national businesses in restoration, home remodeling, healthcare, legal representation, and the restaurant industry among others. We take into account the unique character and specific needs of each business or industry in order to identify the best possible marketing solution for every individual case. Our experienced team of professionals creates customized Search Engine Optimization plans for our clients to help them achieve better website ROI and enhance profitability. In most cases, the optimization process developed by our Chicago SEO experts starts with a Free Competitor and Market Opportunity Analysis, followed by a Website Rankings Report. The website analysis allows us to identify the current strengths and weaknesses of the client’s website. Based on this information, we can make appropriate recommendations to improve the site’s search engine placement and overall performance. Optimizing a website may involve editing its content and internal structure to increase its relevance to specific keywords and improve indexing performance. 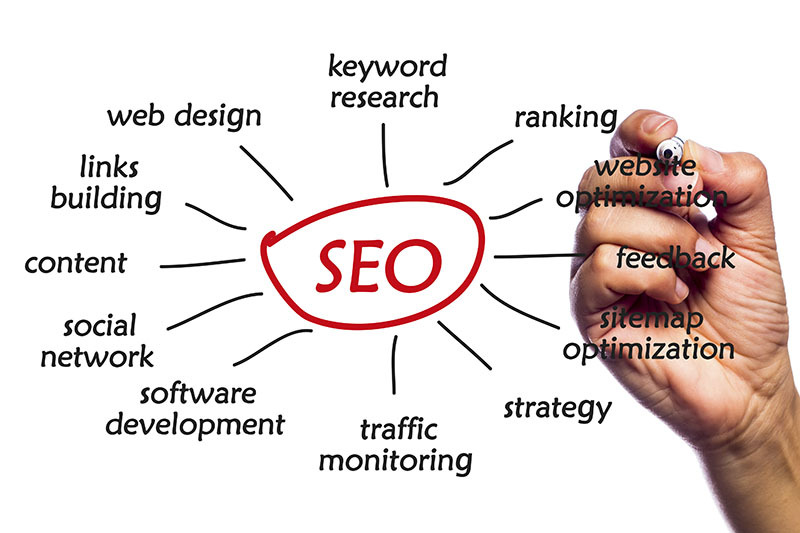 Developing successful link building strategies is another key element in effective SEO. Sustaining the results achieved by effective SEO strategies requires constant adjusting to the ever-changing demands of internet users and the search engines. As one of the leading SEO companies in Chicago, Proceed Innovative builds long term business relationships with our clients to ensure continuous success and stable revenues. We offer not only top quality SEO services, but also Pay Per Click (PPC) Training and PPC management to help clients achieve their marketing objectives with great efficiency and ease. If you are searching for a reliable SEO company in Chicago to become your marketing partner, contact Proceed Innovative to learn more about how our proven SEO strategies can help you achieve your marketing goals. For more information about the Internet marketing services we offer, please, register for our FREE marketing seminars or Request a Quote. Search engines have their own ranking criteria for determining where a web site will appear for any given search. SEO agencies analyze these criteria in order to deploy an effective and ethical campaign for improving search engine placement and delivering measurable marketing results. Increased brand recognition with prospective site visitors. Long term visibility – rankings can last for months or years. Excellent and easily manageable online reputation. Our search engine optimization specialists have the extensive experience and the insightful approach required to come up with the most effective and ethical SEO solutions for each client’s needs. While every campaign is unique, there are several common key elements to the process of modifying a web site to perform better on the organic or algorithmic search results of the top search engines. Branding / brand awareness – helping your brand be recognized by potential customers, and correctly associated with your products and/or services is an important part of any marketing plan. Request a Quote or call us to learn more about our top quality SEO services in Chicago and nationwide!